Life is sweet in Sugar Hill and with the new E Center it just got a little sweeter. That’s why during the month of April we will be hosting a series of events to “Celebrate Community” and the official grand opening of the new E Center downtown. The E Center is designed to offer a variety of opportunities to build community with plenty of gathering spaces for a range of experiences. 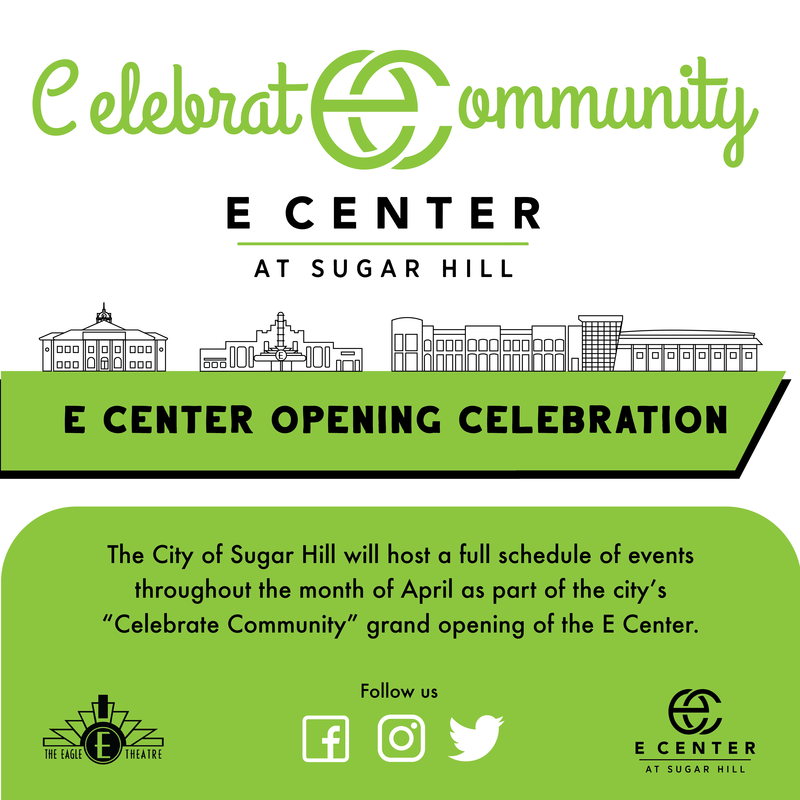 The City of Sugar Hill is excited to use these events to officially welcome everyone to the new heart of downtown Sugar Hill. April 11th: Sugar Hill Business Alliance After Hours at Central City Tavern from 5–7 p.m.
April 18th: Gwinnett Chamber’s Business After Hours at the E Center from 5–7 p.m.
April 22nd: Central City Tavern, a new upscale sports bar, is expected to have it’s soft opening beginning at 5 p.m.
April 23rd: E Center Ribbon Cutting on the E Center Plaza at 5 p.m.
April 25th: Sugar Hill Health Fair at the E Center from 2–5 p.m.
April 26th: Broad St. Concert Band performance at the Eagle Theatre from 7–8 p.m. The restaurant specials and other events will be announced throughout this month on Sugar Hill’s social media @CityofSugarHill on Facebook and Instagram.